Send a message to the United Nations now: Take a stand for an immediate ceasefire in Yemen now! Current forecast in Yemen: cloudy with a chance of Saudi bombs. As we write to you, Yemeni civilians are in immediate danger and fear for their safety. Nearly 100,000 have been displaced from their homes, over 1,700 civilians have been wounded and over 250 civilians have died in the conflict, including 74 children. After Yemen’s President Hadi was ousted by the Houthi rebels, he implored the international community to conduct a ‘short, sharp’ airstrike campaign to quell the violence between the Houthi rebels and his political leadership. Saudi Arabia led the charge, flanked by several other Arab nations. But the military intervention in Yemen, including a total air and maritime blockade on one of the poorest Arab countries, has turned the domestic, political problem into a much greaterhumanitarian crisis. The violence has made it impossible for sufficient humanitarian aid to be delivered, even by the International Red Cross. This has resulted in massive food shortages in a country that depends on imports for 90% of its food. Send a message to the UN now, calling on it to take action by facilitating a political solution to the military conflict in Yemen to avoid the mounting devastation and civilian casualties. 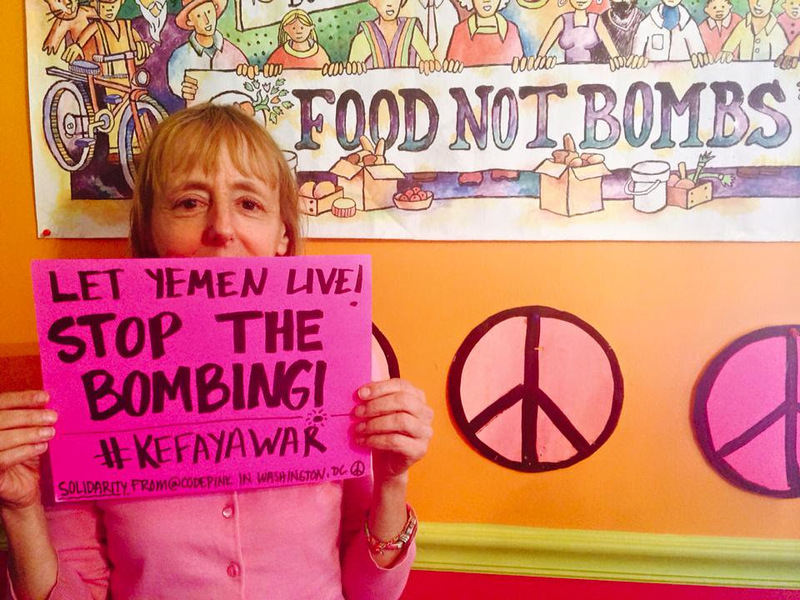 You can show solidarity with the suffering people of Yemen by use the hashtag #KefayaWar(meaning ‘enough war’). Take a photo of yourself and post it on Twitter! PS: Yesterday we held a briefing in Congress about the situation in Yemen, and we hope if you live in the Washington, DC area you'll join us for another event about Yemen on April 15!